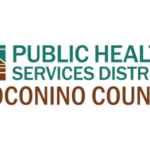 The Coconino County Public Health Services District will begin a Naloxone Distribution Program on November 8, 2018. Naloxone is an opioid overdose reversal medication. The Coconino County Public Health Services District, in collaboration with the Northern Arizona University Center for Health Equity Research, is offering a free workshop: Understanding and Influencing the Social Determinants of Health. A variety of organizations shared upcoming events and program information at the monthly Page Community Resource Partners Networking Meeting, held Aug. 10 at Encompass Behavioral Health Services Building, 463 S. Lake Powell Blvd., Page. 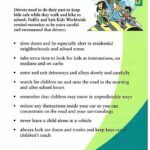 Do you work with teens? This one-track program offers a variety of topics presented by professionals in the field. 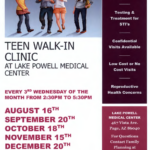 Supporting open communication between adults and teens is a good way to empower teens to protect their sexual health.